Here are answers to some of the most commonly asked questions about Mario Lanza. For more detailed information about the tenor's life and career, useful starting points are this essay and this speech. You can also write to us here. 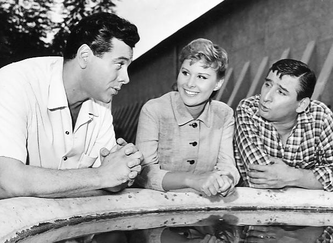 Was Mario Lanza his real name? the son of Italian immigrants Antonio Cocozza (1894-1975) and Maria Cocozza (née Lanza) (1902-1970). While still a high school student, Lanza was already experimenting with alternative names for a stage career, as these reproductions from his school notebook reveal. He finally settled on his mother's birth (or "maiden") name, together with the masculine form of her first name. Called "Freddie" by his parents and childhood friends, the tenor was known professionally as Mario Lanza from 1942 onwards, and on October 7, 1948—exactly eleven years before his death—he legally adopted that name. When and were was he born? Five feet, seven and a half inches, or 171.45cm. This is according to his December 1942 army induction records, which can be viewed here. There is also ample photographic evidence that Lanza was not a tall man, although this has not prevented some of his more fervent admirers from insisting that he was really 5' 10½," or almost 180cm. See this forum discussion for more information. No, he was an only child. He later stated that because of the loneliness he sometimes felt while growing up, he often dreamed of having a large family of his own. Did Lanza marry, and did he have kids? and the couple remained together until his death. 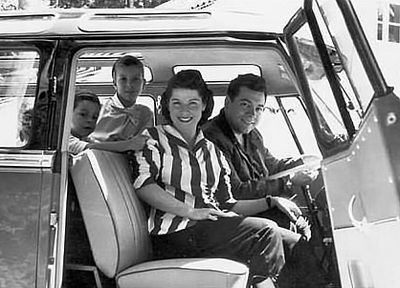 They had four children, three of whom died prematurely: Colleen (1948-1997), Ellisa (1950- ), Damon (1952-2008), and Marc (1954-1991). Betty Lanza outlived her husband by just five months, dying of apparent asphyxiation following a prolonged period of depression. How and where did he die? due to either a pulmonary embolism—arguably the most likely scenario due to the phlebitis he was suffering from at the time—or a massive heart attack. A third (though less likely) possibility was a cerebral hemorrhage. See Mario Lanza: A Fatal Zest for Living, by Armando Cesari and Philip A. Mackowiak, MD, for more information. Note: The absurd rumor that Lanza died at the hands of the Mafia is addressed here. Did his lifestyle contribute to his death? He was also a serious binge drinker—some of his friends and associates considered him an alcoholic—during the last five years or so of his life. At the time of his death, Lanza was in poor physical shape, with the beginnings of arteriosclerosis, dangerously high blood pressure (with systolic readings of up to 290), liver damage, and a number of other ailments. However, the most potentially lethal of these health problems was phlebitis, a condition presumably caused (or at least aggravated) by his lifestyle. 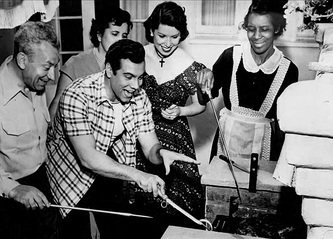 See Mario Lanza: A Fatal Zest for Living, by Armando Cesari and Philip A. Mackowiak, MD. Why did Lanza compromise his health? Hollywood experience as the root cause of his subsequent problems. 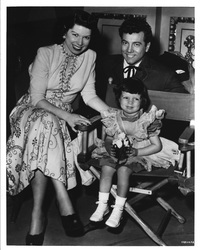 Prior to working for MGM film studios, Lanza was by most accounts a happy person who showed no signs of self-destructive tendencies, and a singer who was clearly headed for a major operatic career. The pressures and distractions of Hollywood changed all that. According to his close friend George London, Lanza started drinking heavily within two years of arriving in Hollywood—a problem that was almost certainly related to the pressures of his unexpected (and sudden) superstardom, coupled with guilt feelings regarding his unfulfilled operatic ambitions. The crash diets that he was obliged to undertake by his film studio—requiring him to lose, on occasion, as much as eighty pounds, or 36kg—also compromised his health and emotional well-being. Lanza's insecurities were further compounded by the near-constant attacks to which he was subjected by the press from 1951 inwards, together with the criticisms and often-unfounded skepticism he received from many music critics. See Lanza and the Press for more information. What was his vocal range and voice type? and that of a (more dramatic) spinto, such as Franco Corelli. His vocal range was almost two and a half octaves: from a low A below middle C (A2) to a D natural (D5) above (a tenor's) high C. Lanza's lowest and highest recorded notes are, respectively, a low B-flat (B♭2), as heard in the scales scene in his 1950 film The Toast of New Orleans, and a D-flat above high C (D♭5), as heard on his live and soundtrack recordings of the "Addio, Addio!" from Verdi's Rigoletto. Lanza possessed a freely produced "natural" voice, as opposed to a manufactured sound. How did Lanza get his start? Among Lanza's formative musical influences were Enrico Caruso, Aureliano Pertile, and Beniamino Gigli. At sixteen Lanza discovered that he possessed a potentially great tenor voice of his own when his parents arranged for him to sing for retired baritone Antonio Scarduzzo. Highly impressed, Scarduzzo nevertheless urged the young tenor to delay actual singing lessons for two years. In the meantime, Scarduzzo recommended, Lanza should study solfeggio (sight reading), languages and piano. As biographer Armando Cesari notes in this speech, "The path to a successful career [was thereafter] relatively easy for Lanza. ... He started working with a coach [the former soprano Irene Williams] at the age of 19. Two years later, he auditioned for Serge Koussevitzky, the great conductor of the Boston Symphony, who immediately awarded him a scholarship to study in Tanglewood, the summer home of the Boston Symphony. 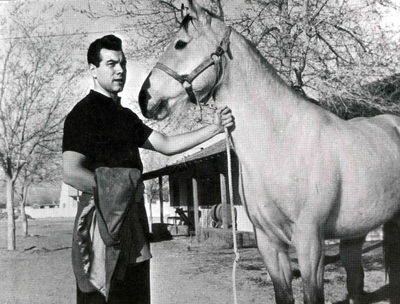 Lanza made his debut as Fenton in The Merry Wives of Windsor to rave reviews, but shortly after his studies were interrupted [by World War II], and he was inducted into the Army for the next two years." While still a soldier (performing in Special Services), Lanza was courted by RCA, who subsequently signed him to an exclusive recording contract. 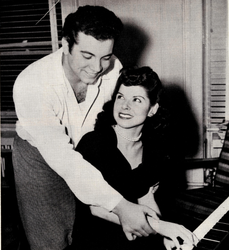 The young tenor also signed with Columbia Artist Management, who would handle his subsequent concert and opera appearances following his discharge from the Army in January 1945. Was he actually a trained opera singer? 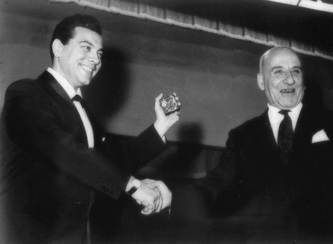 who had been the legendary tenor Beniamino Gigli's only teacher. In later years, Lanza credited Rosati with providing him with a rock-solid vocal technique that would enable him to sing for hours without tiring. (More information can be read here.) Lanza also studied operatic repertoire for many years (principally with Giacomo Spadoni, one-time vocal coach to Enrico Caruso). After appearing in a number of roles in local operatic productions while still an amateur, the 21-year-old Lanza studied and performed the principal tenor role of Fenton in Nicolai's The Merry Wives of Windsor at the Berkshire Music Festival in Tanglewood. For his efforts, he was hailed by both Opera News and the New York Times as an outstanding operatic prospect. Six years later, after completing army service and a period of intensive study (followed by a tour as part of the Bel Canto Trio with George London and Frances Yeend), Lanza performed the role of Pinkerton in Puccini's Madama Butterfly for the New Orleans Opera Association. Again, he received considerable praise for his singing, and was immediately invited to return to New Orleans the following year as Alfredo in a production of Verdi's La Traviata (opposite Eleanor Steber). Hollywood, however, distracted him from his plans, although he always intended to return to opera—"his only true love," as mentor Peter Herman Adler once observed. See this forum discussion for more information. How many operatic roles did he know? in Nicolai's The Merry Wives of Windsor, Canio in Leoncavallo's Pagliacci, Turiddu in Mascagni's Cavalleria Rusticana, and three Puccini roles: Pinkerton (Madama Butterfly), Rodolfo (La Bohème), and Cavaradossi (Tosca). 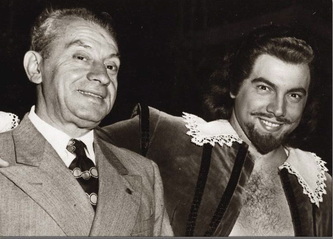 An eighth role that he presumably learned sufficiently was that of the Contino del Fiore in Federico and Luigi Ricci's Crispino e la Comare, a lead tenor part that he performed in an Apollo Grand Opera Company production in Philadelphia around 1941. Lanza twice performed the roles of Fenton and Pinkerton in 1942 and 1948, respectively, and at the time of his death had tentatively agreed to perform Canio at the Rome Opera during that theatre's 1960-61 season (provided that a scheduled 1960 operation on his phlebitis-affected right leg was successful). 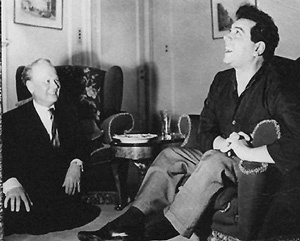 In February 1950 it was also announced that he would be performing the role of Chénier at La Scala in the fall of that year, following a visit to Los Angeles by legendary conductor Victor De Sabata. Although Lanza subsequently declined the invitation, together with an offer from Gaetano Merola to sing the same role that year at the San Francisco Opera, it speaks volumes of the tenor's talent that both these distinguished conductors were prepared to take a chance on a relative operatic novice. Reviews of Lanza's operatic appearances can be read here, and a list of all known material that he performed live is available here. How many recordings did he make? More than 500 between 1940 and 1959. These comprise RCA studio recordings, film soundtracks, radio broadcasts, home rehearsals, private recordings, and live performances. Of these recordings, there are almost 300 unique selections, or individual titles. (This total does not include partial renditions of songs or operatic material.) See our Discography, which is divided into Operatic Recordings, English Songs, Italian and Neapolitan Songs, and Latin/German/French/Spanish Songs, for details and recommended recordings, together with this overview of Lanza's recorded output. What was his final recording? “One Good Boy Gone Wrong” from Romberg's operetta The Desert Song, recorded in September 1959—only weeks before his death on October 7th. (Claims of a final recording of "The Lord's Prayer" that same month are pure invention.) 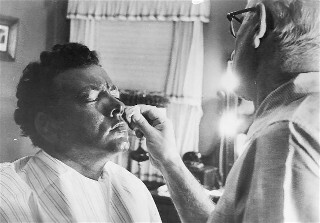 Lanza had begun recording The Desert Song in August, but hospitalization for pneumonia interrupted the sessions until early September. Where can I find more information about his recordings? As mentioned above, we provide a comprehensive discography (with CD information provided in many instances). For LP and CD recommendations click here. You can also contact us for further information. Did Lanza sing “Ave Maria” with a teenaged Luciano Pavarotti in The Great Caruso? How many Grammys did Lanza win? 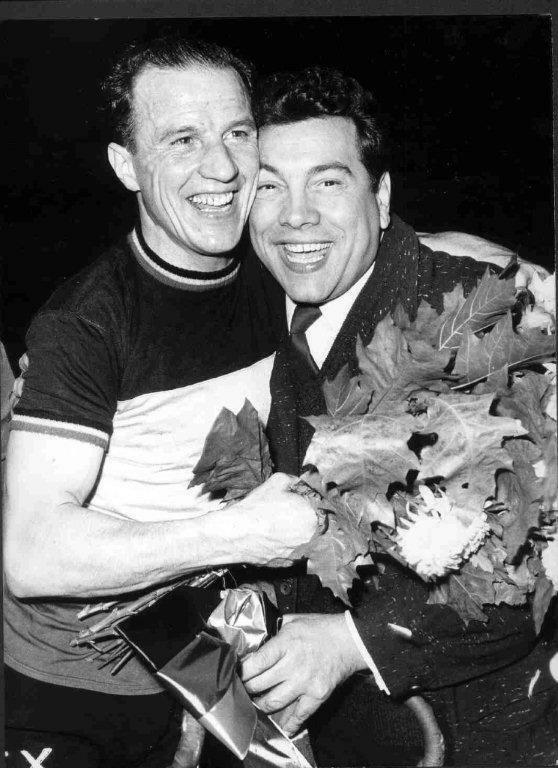 For the First Time, was nominated for one (shortly after his death). It lost to the soundtrack of Porgy and Bess . and two for albums (The Student Prince and Other Hit Songs from Musical Comedies, which held the #1 spot on Billboard's Popular Album Chart for 42 weeks, and The Great Caruso). All of these would qualify as platinum records in today's terms, with “Be My Love” almost double platinum at close to two million copies sold. Lanza was also the first classical artist to sell more than a million copies of an album (The Great Caruso). More information about Lanza's record sales can be found here. Why did he become a movie star? Quite simply because of the financial security his MGM contract offered, coupled with the advice of his then-manager, Sam Weiler. But it's important to note that Lanza's seven-year film contract was only for six months of each year. He signed that contract believing (naively) that he would be able to devote the remaining six months of every year to concerts and opera, and for a short time he managed to achieve that goal. 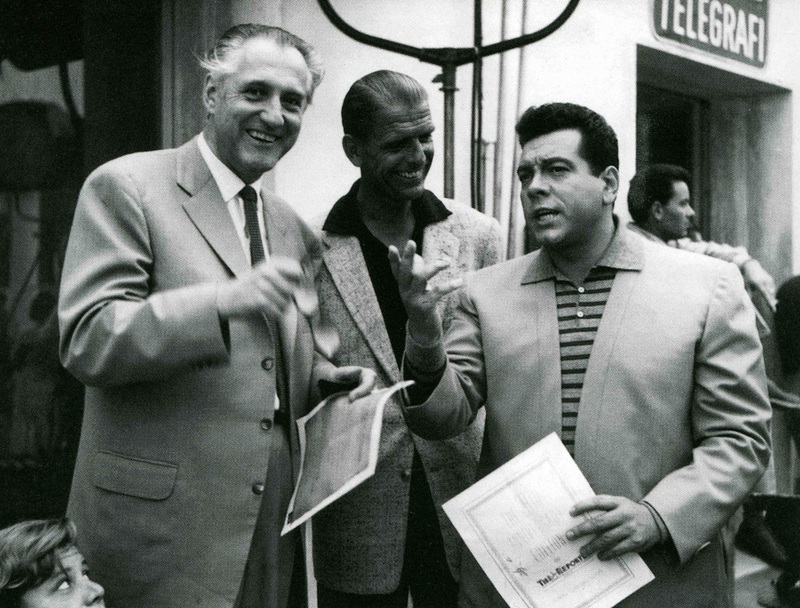 Once his film career had taken off, however, Lanza would discover that there was never sufficient time (let alone the right artistic atmosphere in Hollywood) to achieve the goal of preparing for—and then performing—operatic roles. See this essay for further information. How do great opera singers regard Lanza? Very favorably indeed. Several leading tenors have hailed him as a prime inspiration for their careers. Read this article for comments about Lanza by noted opera singers. 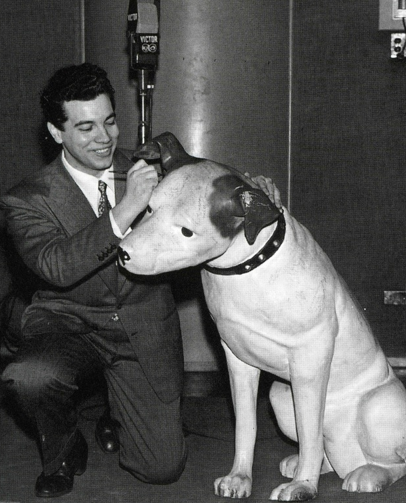 What's the best biography on Mario Lanza? By a country mile, Armando Cesari's Mario Lanza: An American Tragedy (Baskerville 2004; 2nd. ed. 2008). I argue why here. Why didn't he star in The Student Prince? During the pre-recording period, Lanza clashed with director Curtis Bernhardt regarding his vocal interpretation of the Prince. This led the tenor on a collision course with MGM's executives. For further information, click here. What sort of person was Lanza? 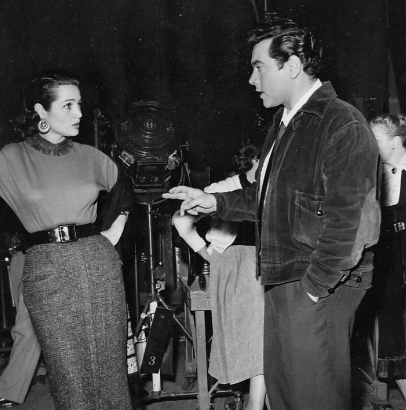 In his 1999 biography "Mario Lanza: Tenor in Exile," Roland L. Bessette portrays Lanza in a deeply unflattering light, grimly listing each one of his supposed misdeeds and negative personal traits. . . . Yet to many who actually knew and liked the tenor, Mario Lanza was a fundamentally decent individual whose obvious virtues as a person outweighed his admitted flaws. His positive qualities included his gregariousness and extraordinary generosity, his warmth and candor, and a larger than life personality that delighted in living life to the fullest, as his friend Barry Nelson once observed. At the same time (and by his own admission), Lanza could be overbearing. Volatile by nature, he was also quick to anger, and in addition there was an unpredictable and (at times) crude side to the man. By all accounts, the immensely strong Lanza was also extremely difficult to deal with when intoxicated, a problem exacerbated by his low tolerance for alcohol. But as actor Rita Moreno wrote in her 2013 memoir, one "couldn't help but like" this "wild, woolly and mischievous" man. See "Myths about the Man" and this forum discussion for more information. Did Lanza suffer from bipolar disorder? Bessette subsequently elaborated on his theory in a series of interviews with Lanza aficionado Lindsay Perigo. These were published in the latter's 2013 e-book The One Tenor. Bessette repeatedly treats these reported statements as prima facie evidence of bipolar disorder. Yet, crucially, he makes no attempt to consider the context in which they may have been uttered. Could these “troubles" not have been allusions to (understandable) self-doubt rather than indications of mental illness? Lanza’s decision to go to Hollywood had, after all, proved disastrous for his operatic aspirations, while undermining his inner security, as his good friend George London and two conductors who worked closely with him—Peter Herman Adler and John Green—all attested. Indeed, in Green's opinion, “He was in truth as insecure as it is possible for a human being to be.” Lanza knew that he was selling his talent short by appearing in films rather than on the operatic stage. The increasing skepticism of music critics only added to his insecurities, and Lanza also had to contend (from 1951 onwards) with an often-scathing press. Would a deeply sensitive individual not have suffered more than most in such an environment? That is not to whitewash the man’s at-times regrettable behavior. Lanza had well-documented problems with alcohol (curiously downplayed here by Bessette) during the last five or six years of his life, a volatile temperament, and yes, as Bessette repeatedly emphasizes, could be crude and unpleasant on occasion. But for the probable cause(s) of that behavior, and Lanza's troubles in general, there is sufficient evidence to suggest that Hollywood, rather than mental illness, was the real culprit. Simply put, Lanza lost his way in the movie capital. 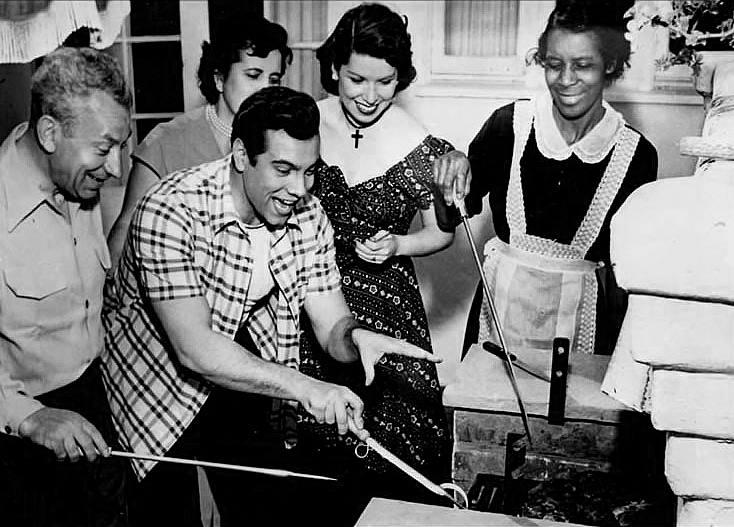 As Peter Herman Adler observed in 1951, the year in which Lanza achieved unprecedented commercial success for an operatic singer: "Hollywood has become his Frankenstein [and] the pressure he is under is tremendous." That a person as vulnerable as Lanza (for all his extroverted nature) ultimately succumbed to that pressure is tragic but hardly surprising. I would argue that by underestimating the negative impact of fame and unrelenting scrutiny on a super-sensitive individual, Bessette misdiagnoses the true reason for the tenor's downward spiral that began within a year of Adler's statement. Did he use a microphone in concert? virtually all of Lanza's live performances were conducted without a microphone, regardless of whether he was singing with piano accompaniment or a full orchestra. He did (openly) use a microphone for several concerts at the vast and acoustically unforgiving New Orleans Municipal Auditorium in 1947—and on one other occasion at that venue in 1951—but he experienced no difficulty in projecting his voice without a mike there in April 1948, when he sang two performances as Pinkerton in Puccini's Madama Butterfly. He also performed without a microphone at London's vast Royal Albert Hall and at Philadelphia's Academy of Music. For more information, read these testaments of singers and musicians who heard him sing in concert or opera. Links to professional reviews of his concerts and operatic appearances are available here. Did any of Lanza's children sing? Who is this tenor Cristian Lanza? 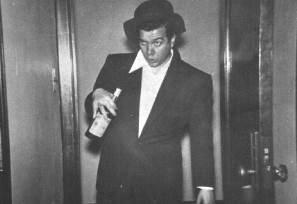 Rico, who was born in Naples in September 1945, long maintained that he was the illegitimate son of Mario Lanza. He claimed that his mother, Ary Camera, had had a sexual encounter with Lanza while the latter was stationed in Marfa, Texas, during his army service. The problem with this story is that Lanza was nowhere near Texas at the time of Rico's conception. His stint in Texas had in fact ended more than two years before Rico's birth. Proudly continuing the masquerade begun by his apparent father, Cristian Lanza does not exactly help his genealogical claim by neither looking nor sounding remotely like his supposed grandfather. Unfortunately, however, many gullible (or lazy) individuals in both the German and Italian media have simply taken him at his word, and he is routinely introduced as "the grandson of the famous Mario." Side note: For many years, an American who called himself "Victor Lanza" claimed to be the illegitimate son of Mario Lanza and the latter's much older friend and mentor, Maria Margelli (1902-1974). Victor Lanza has apparently long since abandoned his ridiculous claim, and now goes by the stage name of Leonardo Lamare. What is amusing about such imposters, however, is that they are always tenors. Is it too much to expect a soprano or a baritone to come forward (or, for that matter, a non-singer), if only for the sake of variety?